Oratory Nights - It's ON! "Let them run, jump, sing, do anything but sin." These words of Don Bosco inspire the wide array of activities available to the youth of our parish. 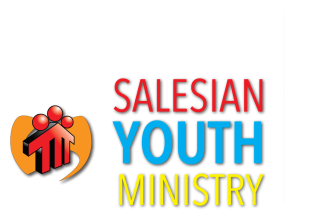 Salesian Youth Ministry models itself of the iconic experience of Don Bosco's "oratory", the place where he gathered youth to live, to learn, to laugh, to pray. The oratory provided a wholesome environment that provided for the holistic development of young people, promoting their human and spiritual growth, their personal and social maturity. Don Bosco did all he could to help the young become good citizens and solid Christians. Today, we refer to Don Bosco's "oratorian criteria" as the guiding principles for the various dimensions of our Salesian Youth Ministry. We offer the young a safe, trusting, faithfilled atmosphere which becomes a home that welcomes, a school that educates for life, a playground where friends can gather, and a church that accompanies the young on their journey of faith.